Jim Kenney policy adviser Alba Martinez responds to suspicions over his endorsement by black and Latino leaders. By Alba Martinez·	 4/29/2015, 12:11 p.m.
Philadelphia’s rich history has many chapters that are worthy of preservation, but divisive racial identity politics is not one of them. A number of op-eds in Citified, the Philadelphia Tribune and elsewhere have implied Jim Kenney’s recent endorsements by Latino and African American community leaders could only be the result of political horse trading. We must leave that reductive thinking in the past and teach our children that a candidate of any race, gender, sexual orientation or religion can be an effective political representative of their interests provided they bring the right track record, values, ideas and abilities to the table. The reason so many community leaders — including women, Latinos, African Americans, and members of the LGBT community — are coalescing around Jim Kenney’s candidacy is because his record of fighting for the rights and interests of diverse groups is impressive, and also because he has proven that he has the passion and skill to build inclusive coalitions to get things done, which is an essential leadership quality in a city as diverse and complex as ours. 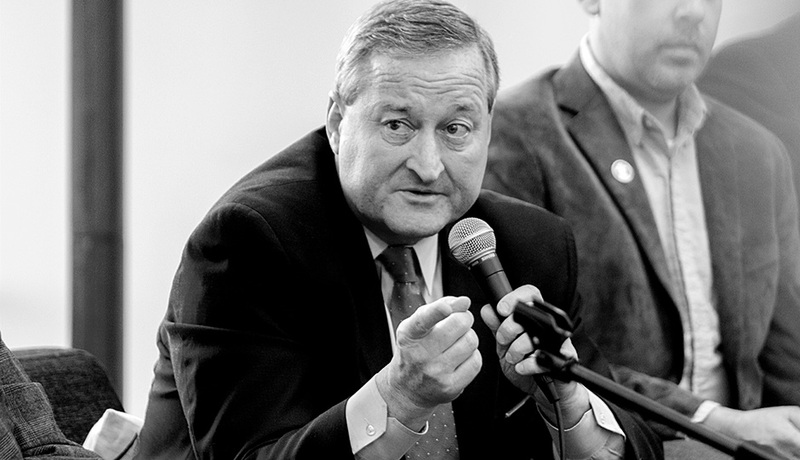 As early as 2001, Jim Kenney advocated for a marketing campaign and citywide initiative to attract immigrants to Philadelphia and make the city more immigrant friendly. In 2002, he proposed creating an Office of New Philadelphians, which would encourage new immigrants to move to Philadelphia and then provide assistance including English-language lessons, translation of city reports and referrals. In 2013, Kenney launched a statewide campaign to lobby against tighter border restrictions and create a path to citizenship for our nation’s $11 million undocumented immigrants. He also sponsored a municipal ID bill along with Councilwoman Quinones-Sanchez in 2013, and led the charge to end cooperation with federal immigration officials on undocumented immigrant detainment just last year. As a City Councilman, Jim also fought for issues affecting predominantly black neighborhoods. In 2014, Jim was the prime sponsor of a bill to decriminalize small amounts of marijuana, ending a practice that led to over 4,200 arrests of disproportionately young black men every year. He also championed bills that forced property owners of vacant houses to ensure that their properties did not become public health hazards or havens for criminal activity, and he supported the creation of the Housing Trust Fund, which ensures that every year there will be City funds available to create and maintain low-income housing across the city. He also fought to recognize the contributions of civil rights leaders to Philadelphia. He supported the effort to make the United Bank of Philadelphia, the first African-American controlled and managed bank, a depository for City funds, and he led the charge to build the first statue of an individual African American from Philadelphia, the O.V. Catto statue that will be built outside City Hall in 2015. 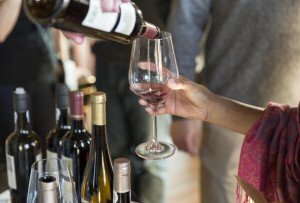 When the skeptics characterize Jim Kenney’s impressive endorsements from a diverse array of leaders and community organizations as merely a “political play,” they aren’t considering Jim’s record, either because they don’t know it or because they are overly influenced by our past history of race, ethnicity, and sexual orientation politics. As a gay Latina woman from Mount Airy, I am proud to support Jim Kenney — a straight Irish Catholic man from South Philly — as the next Mayor of Philadelphia. Jim’s a leader who “did, is, and will.” He did stand with us, he is fighting for us, and he will continue to make Philadelphia a welcoming, safe, and rewarding place to live for all communities.